Replacing broken springs and cables isn't all we do. 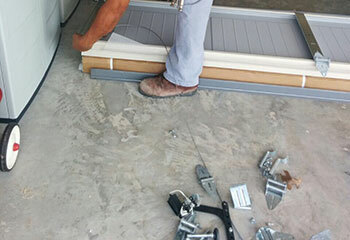 Our experts can also help you if you're interested in having a new garage door installed. Here are a few examples of our latest work. 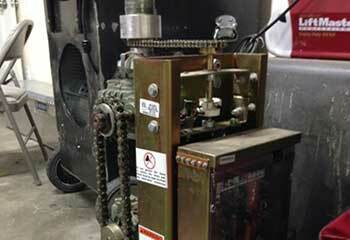 Customer Issue: The Barbosas’ electric opener motor was making strange noises and moving haltingly. It was a hassle to deal with and they needed to have the problem fixed asap. Our Solution: It was obvious from the beginning that the problem was inside of the garage door opener box, so the team disconnected it and made with the exploratory surgery. A tangle in the drive chain had bent one of the gears out of shape; untangling the chain and replacing the gear fixed it up. 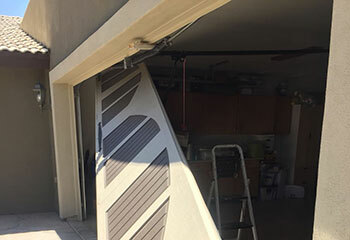 Customer Issue: Wanted to have a new garage door installed. Our Solution: After measuring the dimensions of the customer's garage and its opening, we sat down with him to try and find which type of model would be the right fit for his home. After considering several options, the customer decided to get a Clopay carriage house garage door from their COACHMAN® collection. We installed it for him a few days later, and ensured that the entire mechanism was working flawlessly from the start. Customer Issue: One of the two torsion springs broke and needed to be replaced. 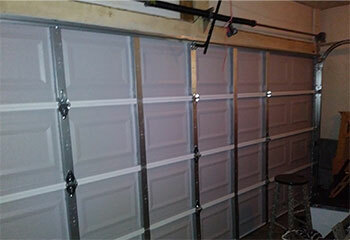 Our Solution: The reason the customer had two torsion units was the heavy weight of his door. Even though the second torsion spring was still operational, its condition was far from optimal, and we recommended replacing it as well as the broken unit, to avoid potentially dangerous problems later on. He agreed, and we quickly carried out the necessary work and safely wound the new springs with tension. Customer Issue: Nylon door rollers broke. Our Solution: The benefit nylon rollers hold over steel ones was their lack of maintenance requirements. They don't need to be lubricated because they're not made of metal, and their movement is naturally silent. However, they're not as durable, as this customer found out. We suggested replacing the damaged units with steel ones and showing her how to lubricate them occasionally to keep their performance smooth and silent. She agreed, and told us later that she found the required maintenance to be less of a hassle than she thought it would be.